There has always been a need for clothing by persons who unexpectedly find themselves as patients in emergency rooms. When most of us get dressed in the morning, there is rarely a thought that we might not be returning home wearing something that doesn’t really fit and isn’t an article of clothing that we would have paid money for. Nurses in many hospital emergency rooms have created “Clothing Boutiques” for patients who, for many reasons, will not be going home in their own clothes. Being the victim of an auto accident, trauma such as a fall or an assault, or a medical reason that requires that your body be quickly assessed, can result in your clothing being cut off by pre-hospital paramedics or once you arrive to the ER. But clothing boutiques aren’t just useful after fast-paced traumas like you’d see on television: hospitals need clothing for mundane reasons as well. Not surprisingly, patients clothing often gets soiled with poop, pee and vomit. 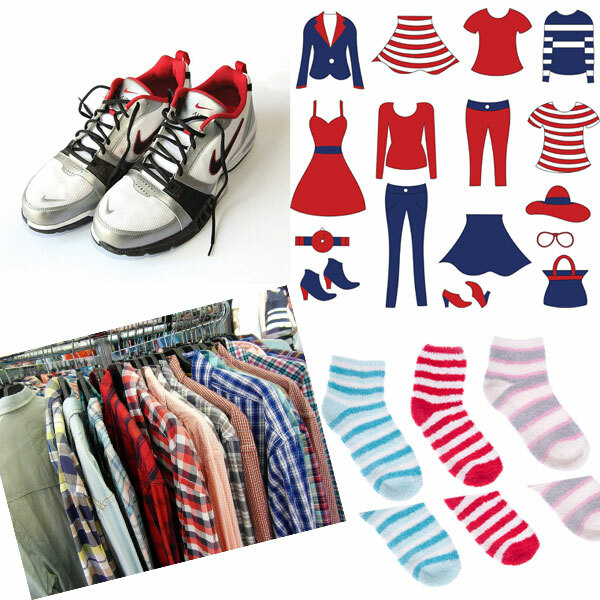 Clothing can also be collected for legal processes. If you know someone who has been sexually assaulted, you are aware that the victim’s clothing will have to be collected as evidence. These victims need underwear and outer-wear to leave our setting. Being given underwear, and a pair of pants and a shirt that does not carry the horror of what might earlier have been someone’s favorite shirt, is now tarnished and is not something they want ever touching them again. Leaving the ER can be daunting if you are walking, especially for patients that don’t have a lot to go home to. But it’s not as bleak if you leave warm. In the past, if a patient’s clothing was ripped or covered in blood, they left with their soggy, barely useful scraps of clothing that only served to cover parts of their bodies. Not everyone wants to go home with Lice infected clothing either, but unless you have a family or friend that has or can deliver clothing, you are SOL. After word got out about the availability of clothing in our ER, we sometimes allowed persons not needing medical care to visit our boutique. “I need something to wear to my mom’s funeral, because I want to look nice for it so she wouldn’t be ashamed of whom I’ve become.” Many people show up who are facing bad luck situations, like being surprised that the bag with their clothing in it, that they hid behind a bush by the grocery store where they went in to keep warm or spend their last five bucks for an orange and a sandwich, got stolen. Bad luck often begets bad luck. Possessions become less important because they have to. The meaning of clothing to all of us runs the gamut of expressing who we hope, believe, or really don’t care about in the slightest, are. But literally it is a piece of who we are, even if just for exterior purposes. Yes, we wear clothing to cover and protect us, but it is also symbolic of our culture, our style choices and of our economic status. Clothing has meaning to us emotionally and psychologically as well; to most of us, lack of choice wouldn’t be an obvious a thought or feeling. Clothing often arrives when a child or a surviving spouse brings in beautiful clothing, in excellent shape because they had rarely been worn since the diagnosis of a debilitating condition had been made. Loved ones who have lost someone are likely to help out other families who are going through similar tough times. In my ER, most nurses also brought in items that they no longer chose to wear. Seeing someone pick out an item that you have discarded is humbling. Even if you hear the wearer mumble to her friend when they are leaving the hospital, “These nurses have terrible taste in clothes; I sure wouldn’t have paid any money for this old rag.” And I had thought it was a cute top two weeks ago when I last wore it. I might have said the same thing if I were 22 and found that I, like it or not, needed another person’s clothing. Nurses triage patients based on their needs and the resources they will need. Our patients are also triaging their needs in relation to the resources available to them. Our society makes a huge deal out of fashion, as evidenced by the recent buzz around New York and Paris Fashion Weeks, but we don’t put much thought into the importance of a simple garment to someone who doesn’t have a runway of outfits to choose from. Make a call; see if your local hospital could use some clothing items that you don’t. None of us really know if we might be in the unexpected position someday to need something to wear from a stranger. This entry was posted in Emergency Room Nurses. Bookmark the permalink.